Haute Route Oman have partnered with the Global Cycling Network (GCN) to offer two lucky cyclists the opportunity to win free entry to next year’s event. The competition, which includes flights, accommodation and bike transportation, will see the winner and a friend go to Oman for the three-day Haute Route experience in March 2019, the first ever to be held in the Middle East. 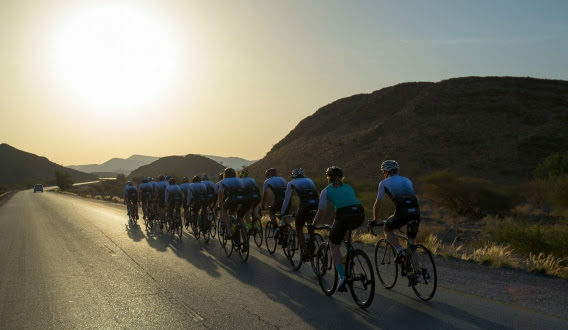 GCN will document the new Omani event, meaning the global community of cyclists can experience the challenge of the Al Hajar mountain range course, including the Jebel Akhdar ‘Green Mountain’. Salma Al Hashmi, CMO of host organisers Oman Sail said: “GCN is known throughout the world for its original, interesting and exciting content and we are delighted to welcome them as partners on our Haute Route Oman adventure. 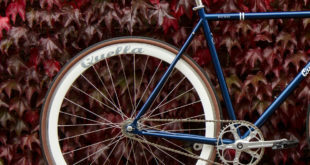 GCN is ​the world’s leading creator of cycling digital video content distributed on YouTube and Facebook and their video output ranges from behind-the-scenes coverage of professional cycling events to maintenance and ‘how-to’ instructional videos. The Haute Route Oman competition winner will get two free entries to the event, two flights to Muscat from an airport of their choice with free bike box carriage, a twin room at the event hotel from 28th February to 3rd March, welcome packs including a jersey and bib shorts, and transport from Muscat to the hotel. The Haute Route Oman will take place from 1st to 3rd March 2019.